The Australian Ballet’s Production Centre in Altona, Melbourne, houses our $40-million collection of costumes, sets, scenery and props. At 10,000 square metres, the Production Centre has plenty of room for our 130 large containers of props and 30,000 costumes, ranging from the oldest (Melbourne Cup, 1962, if you were wondering) to our newest. Wandering this cavernous space, you might see treasures like Cinderella’s pumpkin coach or come across vast backcloths being painted and sets assembled for upcoming ballets. As well as a climate-controlled wing for our priceless costumes, the Production Centre boasts a 12-metre high scenery assembly area, two recessed loading docks, wardrobe and scenery workspaces and a virtual design studio. 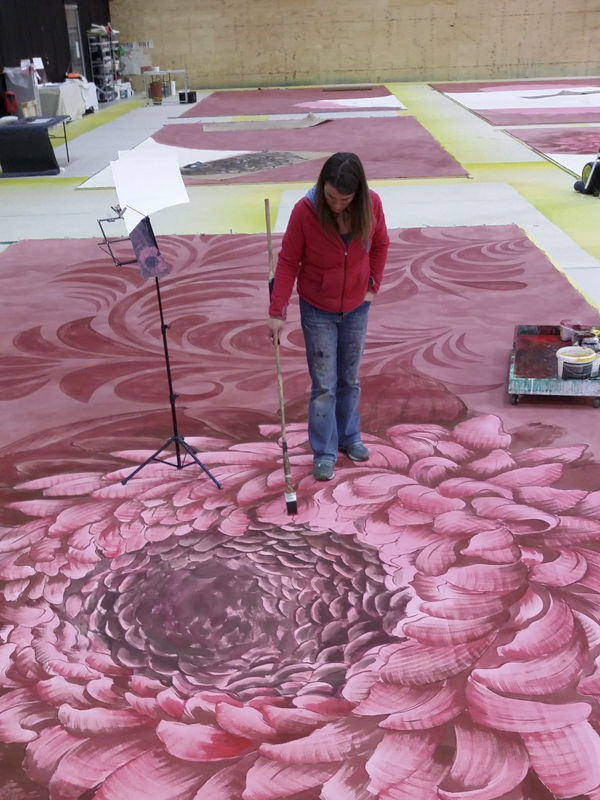 In the vast, hangar-like spaces of our production centre in Altona, painters with brushes almost as long as themselves bring life to our stunning backdrops. Each cloth, when fully painted, can weigh as much as 300 kilos. As well as exquisite dance, The Australian Ballet productions are known for their astonishing costumes, scenery and props, which are all made in Australia by specialist artisans and technicians.